18 kWh grid connected solar system is installed on the roof of Leos Beach Hotel & Restaurant in Brufut Heights. 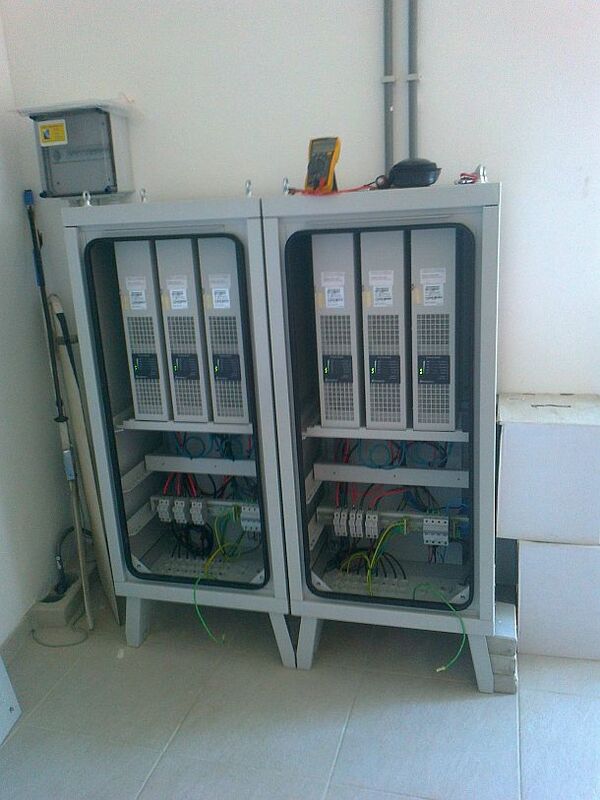 The system will produce 26.000 kWh yearly, and will supply the Hotel, swimming pool and restaurant. 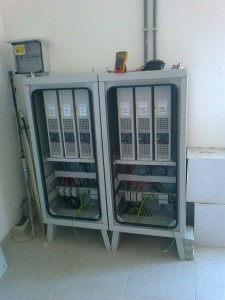 The extra capacity during the day is stored by Nawec and used during the evening and night. 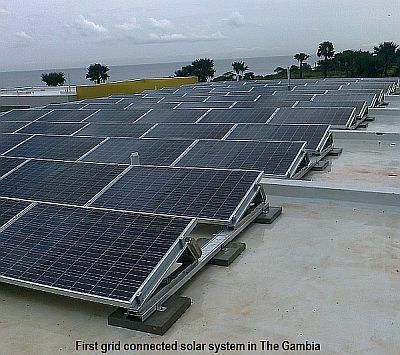 The Gambian Government is planning new Laws to to make these systems available for everyone in the future.